Cashanova is easy to play with its standard layout of five reels and three rows. However, chances are you won't pay much attention to the playing grid. Namely, the animations are very entertaining and enchanting. There are no standard symbols and all animations have to do with Roger Rooster and the hens on the farm. Even the music has been adjusted to the theme, making it all the more fun to play. There also is a wild symbol and that is Roger himself. This wild symbol can substitute for any other symbol except for the animations leading to free spins or the bonus game. Video slots have the most diverse themes, as many other developers have already shown. 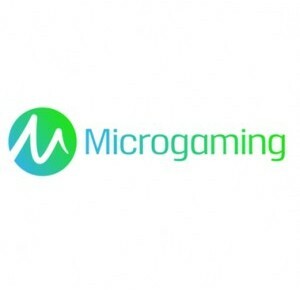 However, Microgaming takes it to a whole other level with its Cashanova. Please note, we’re talking about the slot Cashanova and not the character Casanova, who does appear on the reels. Not every attractive man is an artist seducer but Roger Rooster feels like a million bucks amongst his hens. The theme is somewhat corny but the slot itself certainly isn’t. The layout of the slot is standard but with three different bonus games, there is enough to experience on this Microgaming video slot. Cashanova is easy to play with its standard layout of five reels and three rows. However, chances are you won’t pay much attention to the playing grid. Namely, the animations are very entertaining and enchanting. There are no standard symbols and all animations have to do with Roger Rooster and the hens on the farm. Even the music has been adjusted to the theme, making it all the more fun to play. There also is a wild symbol and that is Roger himself. This wild symbol can substitute for any other symbol except for the animations leading to free spins or the bonus game. When the bonus game symbol lands on your reels in, at least, three-fold, you will go to the bonus game. Here, Roger has to find his key he’s hidden somewhere. All items you pick result in a monetary reward. However, when the dog wakes up, the game ends. On the other hand, when you do find the key, you will proceed to the next bonus game. During this second bonus game, you will have to find a way to impress the hen by making the right choices. When you enter even the first bonus game, you are guaranteed to not return unsuccessful, making this bonus games on Cashanova definitely worth your while. Free spins on Cashanova are equally interesting as the bonus games. When the scatter lands on your reels three times, you get to choose the number of free spins and multiplier from a series of eggs. The maximum number of free spins is 15 and the maximum multiplier is 5x. Seeing as there is a bonus level in between the scatter and free spins, you cannot win extra free spins while playing free spins. This means you are going to need some luck during the eggs round. During free spins, there is an extra scatter symbol to increase your wins. Cashanova has a total of 30 pay lines, and you can determine how many of these 30 are active. You can also change your total wager by changing the number of coins per pay lines and by altering the coin value itself. Cashanova also has an autospin function which will turn itself off automatically once you reach one of the three features. And it should, as the slot needs your input during these features.